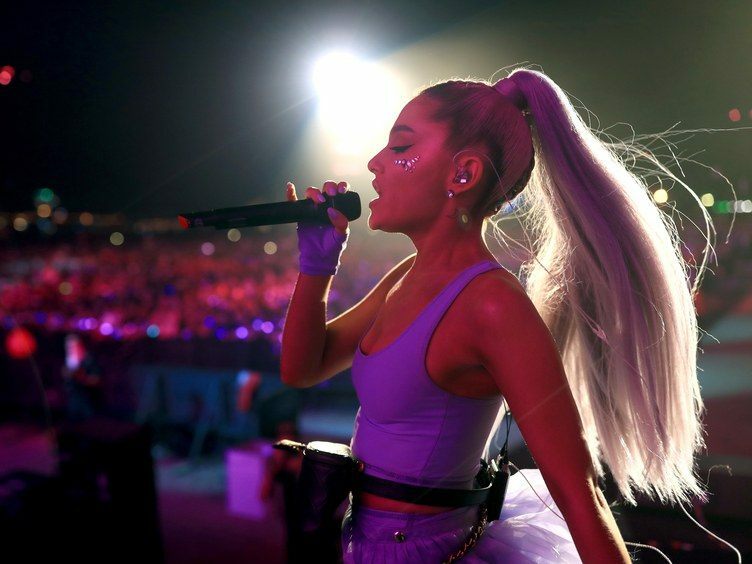 With the overwhelming recent success of singer Ariana Grande’s new single, “Thank U, Next,” things couldn’t be going any better for the pop singer. One thing she may want to change though is her signature hairstyle, the high ponytail. The hairstyle she regularly wears can actually lead to a form of hair loss called traction alopecia. Traction alopecia is a gradual form of hair loss that occurs when hair follicles in the scalp become irritated due to a continual pulling force. This causes loss of hair in patchy areas, usually residing in the front of the hairline and behind the ears. Hairstyles that place a constant strain on the scalp (such as braids, extensions, and ponytails) are generally responsible for it. Ariana Grande wearing her signature high ponytail. Like any type of hair loss, the effects of traction alopecia can not only be physical, but emotional too. Back in 2007, Britney Spears was believed to have been suffering from it (due to her reliance on extensions) and the resulting frustration is what was believed to cause her to shave her head. Although traction alopecia is categorized as a temporary form of hair loss, it can be permanent, depending on the amount of damage done to the follicles. If that’s the case, the only option to address it may be a hair transplant procedure. If you believe you may be suffering from traction alopecia contact our office right away as early diagnosis is important.